The Vera Institute of Justice (Vera) works to build and improve justice systems that ensure fairness, promote safety, and strengthen communities. Vera launched the Common Justice project in 2009 to address the criminal justice system’s over-reliance on incarceration, to halt cycles of violence, and to address the needs of victims of crime. 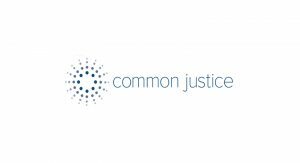 This grant supports the Common Justice project’s convening and communication activities. As momentum grows to reduce mass incarceration, Common Justice believes the current narrative, while powerful, is based on a misconception: nonviolent and drug offense sentencing reforms alone will not achieve large-scale, transformative change. To capitalize on the reform momentum, Common Justice aims to develop a national strategy for addressing violence in a way that meets the needs of those harmed, advances racial equity, and does not rely on incarceration.